Going into the knockout stages of Vodacom Super Rugby, the Lions should be asking themselves what they have actually achieved in all their years of dominating South African rugby. Tomorrow’s quarterfinal against the Jaguares at Ellis Park marks the beginning in earnest of the Lions’ quest to qualify for a third successive final in the competition, following seasons in which they were the best domestic side by a considerable distance. But as insulting as it may sound in some quarters – especially Johannesburg – one has to ask what it has all been in aid of. Two successive Super Rugby finals; three SA Conference “titles”; a ridiculous record against the domestic sides (played 22, lost one, drawn one); and the enthralling rugby played along the way are nothing to be sneered at. To answer Maximus’ question in the film Gladiator, we are entertained, but where are the trophies? Are the current Lions players – some of whom will go down as the franchise’s greatest – happy with being remembered for having only played attractive rugby than having actually won anything? If this sounds harsh on the Lions, consider that since coming back from Super Rugby relegation as the dominant force in SA rugby, they have only won one Currie Cup title, which has created the strange narrative of a team that does well in franchise rugby but not domestically. The mitigating fact there – not having their top players available during the Currie Cup due to their commitments to Japanese club rugby – may well provide clues to why the Lions have fallen short when it comes to winning titles. Through European or Japanese contracts, the players who toughed it out when the Lions were relegated have been rewarded tenfold for their loyalty. The catch is that while entire careers have been built and a lot of money has been made from those rewards, suddenly having everything from having been down and out may have dimmed their collective motivation. The legacies of great teams are made on trophies won, not how much money their players made. A great example of this is the Bulls, who won all three of the Super Rugby finals they contested, this when the competition was still considered to be strength versus strength and not the current cross-conference mess it has become. A lot of those Bulls players also formed the core of the Bok team and went on to win a World Cup, Tri-Nations and a British and Irish Lions series, while with the exception of Malcolm Marx and Franco Mostert, few of the Lions players can say their domestic form has transferred as seamlessly to international rugby. In a way the Lions have also found ways to sabotage their chances of winning in the couple of years they have been within range. In 2016 there was the decision to send an under-strength side to play the Jaguares, which lost the Lions the top spot on the log and meant a final in New Zealand. And long before Kwagga Smith’s first half red card in last year’s home final, the distraction had already come in the form of news that their inspirational coach Johann Ackermann was leaving for Gloucester. The Lions have also been guilty of wanting too many chances to take their chance. If you look at the last three winners, the Highlanders, the Hurricanes and the Crusaders, they all made sure they won when they got to the final because they didn’t know when the opportunity would come again. 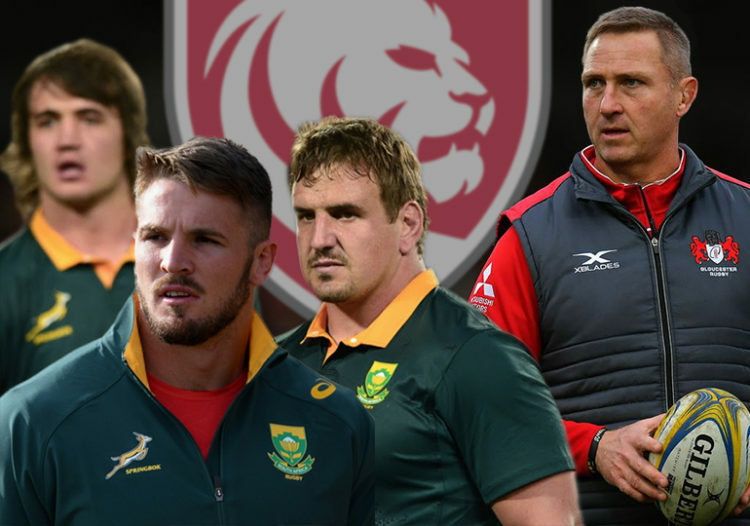 The reason the question of legacy has become shrill for the Lions is the rumours of a player exodus and coach Swys de Bruin’s possible permanent move to the Springboks at the end of this Super Rugby season. This means the Lions will be rebuilding next year regardless of whether they win or not. Now might as good a time as any to rid themselves of a reputation for being all flash and no substance. Nice article. I suspect though that certain corners of the public will be less than thrilled and not objectively read your article. Instead, I expect certain individuals to go on a rather long, subjective and emotional rant about why you are so wrong, instead of taking the merits out of your argument. But, in my very humble opinion, you hit the nail on the head. Where are the trophies? They certainly have been one of the top teams in all of super rugby the last few years but they have fallen short where it counted. And this is also the reason we haven’t seen more of them in the Boks: Big match temperament. Anyway, keep up the excellent work, Simnikiwe. Rant if you want to bait me then just address me in person don’t try this veiled innuendo school girl rubbish you are attempting here. Man up old chap it’s unbecoming. I have duly replied to Simnikiwe who is obviously on the same deluded wavelength that you seem to be on. Cheers. .
No need to be so self-obsessed. I don’t sit here thinking about you at all. There are so many deluded subjective people like yourself here. Just do me one favour, leave me alone because I refuse to debate with a self-righteous and self-obsessed joker like you. Great argument, they havent got many boks beacuse they did nt win any trophies. In that case we would nt have any boks at all cause their have been no SA trophy winners??? DUH! Good counter argument. Well, for a brief moment, then you just lost all credibility. Instead of insulting someone, why not just have a civil discussion? Or are you one of those joker keyboard worriers hiding behind their screens? I shall give you respect though, for now, and answer your first statement. Don’t you think that the complete lack of success in SR is the reason the Boks have suffered lately? The majority (apart from the Lions) are poorly coached. We still have world-class individuals in the other franchises who just 4 or 5 years ago were dominating the SA conference (Stormers and Sharks). Yes, rugby has moved on but the coaches on those franchises aren’t up to scratch. The Lions are a sum of their parts, many people who are Lions biased even state that they took discarded players to build their team. Look at other franchises, who spent big bucks to try to make a team of the top SA talent at the time but poor coaching killed them. Now lets recap other comments about AC ruining the Lions players…ring a bell? I rest my case. I do feel that Rassie needs to coax Ackermann to be Bok coach after the next world cup, with Swys as the attack coach. And Rassie needs to upskill the franchise coaches so we can have a proper feeder system to the Boks. Hi Rant was this post just above here for me ?. If it is I’m a bit confused because first you say I must leave you alone then you respond with a conciliatory answer. But I’ll assume it was me and well intended. I agree with every thing you say by the way but I’ve been bashing away at that very same argument since 2014 and as each year passed the other Franchises refused to up their game and in fact deteriorated to the extent that this year our original two ‘super powers’ finished 11th and 12th on a 15 team log. Is anyone going to take the blame ? Rumour has it that Fleck and Du Preez will return next year and here’s Gavin Rich and others asking for just one more year to save the two sinking ships. Einstein’s theory on repetition and results fully applicable here. I trust I have responded correctly, Cheers. Just stop now, It was for Hoffman. This is the first time I have heard about Swys possibly moving to the Springboks permanently. That with all the players leaving the Lions will be tragic. It will already take the Lions about 2 to three years to recover from the players drain. If they lose Swys after they lost Ackers only a year ago. That will destroy them. The Sharks didnt have the player drain, but having three coaches in three years did do serious damage. They lost their identity. Losing Swys will be a good thing. He’s not a head coach. He’s an attack/backline coach. This season and last year’s Currie Cup have exposed him. not a head coach yet he tops the conference in his 1st year as head coach????? If they can continue to unearth great talent then it is all worth it. Not just for the Lions but for South Africa. Yes some of them are overseas now but they can still play for the Springboks. The Lions have dragged all the other South African franchises, kicking and screaming, into the 21st century. The Lions are to thank for that. These men may just win us the World Cup. The point being made by the article is that the Lions have been unable to finish! So, for example, both Sharks and Lions have been in the Play offs for the past three years, whilst neither of them have won the title! Same, same, no cigar! Andries is not the current Bok 15. Could not have said it better myself, as an avid Lions supporter, they have shot themselves in the foot on numerous occasions. The Boks that have been chosen, to some degree deserve it, while some of them don’t. This will definitely be the last chance for this team to prove they can do it. As for the players/coach leaving good luck. Next year new challenges await. Lions forever. u are not a lions fan if u agree with this horse wallop above. Poor article. Clearly meant to provoke reaction and incresae hits. The point is that if the Lions are to be considered a great team, then we need the cigar. Without it, they are just another team in the play offs! Nice article! As a staunch Lions supporter of the last 20+ years, the past 3 years have been by far the most enjoyable (apart from the inability of the boys to clear that final hurdle in 2016 and 2017). This year has been tougher in terms of results, and Lions have been their own worst enemy at times. With the imminent player drain and the possibility of losing another coach, I can’t help but agree that this year will be last chance saloon for the boys (for the foreseeable future anyway). Fair comment. And the sad thing is that the Lions have reached their zenith and are now only a shadow of the team they were over the last couple of season. One feels that they had their chance to be a two-time champion team and fluffed it. They have achieve 1000 x more than u have or will ever achieve Simnikiwe Xabanisa. One wonders how u actually got your job, oh wait, no need to wonder…. U are talking about a team that only a few years ago was kicked out of SR completely, lost all their players, had to start from scratch and went onto completely dominate. They have achieve alot. Look at all the talent and boks have come from this. A union that was once the laughing stock of SR is now year on year a possible championship team. Rather comment on something u actually know something about. What an utterly rubbish and pathetically unprofessional article. Please find another job! You just had to take it that far…are you okay? Its alright to disagree with the guy. You are entitled to your own opinion on rugby but the other nonsense you implied is just straight up ridiculous. Keep that kind of bias away from the internet please. You need to look into yourself sir. Have a good day. Couldn’t agree more. I have responded to the wannabee journalist on this site. Cheers. Let’s keep such racist horrible comments in your toilet where they belong. Please show some decency. Albert what ever is racist about what I said ???? I treat everyone on these forums exactly the same way and do not even think of a persons ‘colour’ when doing so. I was previously blocked on SS because I was exposing the lack of objectivity of their leading scribes ( all of them white ) so please do not assume that I am picking on said ‘journalist’. This is the problem with a ‘bleeding hearts’ mentality. Not subjecting a person to criticism because he is ‘black’ is in fact an insult to a man like Siminikiwe who is prepared to contribute on these forums. I rest my case, Cheers. Hi, Apologies, Herman Schroder, I was referring to Dr. Hoffman’s alluding to the reason for this columnist acquiring his role due to his ethnicity. I personally find nothing untoward in your comments. Seems to be the IN thing to trash the Lions now, the top SA team in recent years. The lions played their best attacking rugby in 2016 and I think if the final had been at Ellis Park then odds are they would have hammered the canes. Instead they went and played in miserable conditions in Wellington and you could probably put the loss down to inexperience in those sorts of conditions and travel factor. 2016 was the season after the CC winning season. Since then their best players have either left or are playing all year round due to Japan commitments. The CC team is essentially a B team so there isn’t that opportunity to ‘build’ for a super rugby campaign. Why is it the Lions have this mass exodus and the other teams less so ? The reason is springbok contracts. Sans Marx there are no Lions on Bok contracts. Yet teams like WP and Bulls have lots of players in bok contracts so they don’t need these other gigs to earn the big cash. If Faf, Elton, Whitely, Ackerman, Kriel, Mostert etc had bok contracts they wouldn’t have left (or be playing in Japan or about to leave). This I believe is a legacy from the Heineke Meyer days where players like Pollard, Jesse, DDA were given these long term contracts. SARU clearly doesn’t have the cash to extend this to the Lions players even though they fully deserve it. I may be wrong but would be interested to hear info to the contrary. Came late to the party here, and although SX makes some valid points, he misses the fact that Lions are the best team we have in a time where SA rugby is not in a great place. A shining light in the darkness is to be celebrated. Not critisized because the lost to top NZ opposition in both finals although beating all others in semis. He uses Bulls as a shining example, but where were we ranking those years? 2007. Yeah we all know what happened that year. 2009. Ranked 1st. 2010 still riding the wave. Now we so low, but still have a team you will definitely back going into any game making 2 possibly 3 finals in a row all through the dark times. And you want to dump all over that? Your heart is dark my friend. And perhaps wanting to stir is your only motivation here…. Dear Mr Xabanisa, Well done you have successfully with one ridiculous article brought ‘journalism’ to a new all time low. It sounds like you had nothing better to do or write about than to criticize the single shining light in SA rugby over the past 8 years. Your jaundiced almost spiteful attempt to denigrate the Lions proves you have not one iota of objectivity in your article. Let me tell you why. 1. You mention the Bulls with a measure of admiration. Back in 2010 when they last had a sniff of a trophy dom krag ruled supreme. Since the laws changed to reward expansive rugby they have wallowed in the basement section of SR with a new low being this year where they finished 12th out of 15 teams. Why was that ? They simply could not adapt. The same problem applied to both the Sharks and Stormers especially over the past four years. Why didn’t they also adapt ? Now that’s an article you should be writing about not picking on the only team to emerge from these poverty stricken years of SA rugby with any sense of pride and accomplishment. You should be doffing your cap to them instead. 2. According to you a team only has BMT if you win a trophy, what rubbish. The Crusaders who, before winning the final last year thanks to Jackass Peyper’s knee jerk red card, didn’t win SR in the preceding seven years. Are they considered a team without BMT ? To get to any final means you must have the skills and the temperament to get there and like any other game it could be lost on the whim of a ref ( Peyper ) or TMO or plain crappy bad luck on the day. If not successful are you therefore not a great side ? 3. You then bring up the Currie Cup as another reason they cannot be considered successful. What utter nonsense. Firstly as you say they have beaten all SA teams over the past three to four years in SR. That in effect means that if a real Currie Cup was on offer with strength against strength then the Lions would have won the last three. The watered down competition that has been played these past years is an insult to the Currie Cup imo. 4. You mention the NZ teams taking their chances in the finals and winning it. The Hurricanes in fact made the finals in 2015 and lost at home against the Highlanders. They won it the following year again at home against the Lions in gale force winds and rain and Beauden Barrett. Does that make the Lions a poor team ?. As mentioned previously the Crusaders thanks to Peyper poxed the final last year. Does that make the Lions a poor team without BMT ? 5. And then your poorest comment of all. You claim that the Lions players form did not translate to international rugby. Really ? Please enlighten me who in the Coetzee era did in fact play to their true potential ?? The Lions should have been picked as the bulk of the Bok team from day one in 2016 and not brought in piecemeal to play Coetzee’s pathetic dom krag game plan. One player has been picked on relentlessly yet he is the only flyhalf in SA who can really play the expansive game, yes the unfairly much maligned Elton Jantjies. But he is on trial every game he plays. He has guided the Lions to two finals and well on track for a third. No skill, no BMT don’t make me laugh. 6.You ask of the Lions, what has all this been in aid of. REALLY ? Rather ask the other Franchises that question if you don’t mind. They are the ones that, along with the Boks, have brought SA rugby and the Springbok jersey into disrepute not the Lions my friend. Try writing about their contributions to the cause and don’t go easy on them. In closing may I kindly request a response from you regarding the points I raised in defence of the Lions. I think you owe them that much. I note the ‘mediocre’ Lions rather convincingly beat the full strength Argentinian national team today and Elton was the man of the match. That makes 5 play off games out of 5 won since 2016 and three of them against NZ teams. Wow ! Cheers. Herman forgive me if I missed something but I just could not bring myself to read your blather! The only 2 reasons the Lions are in contention is they are the best of a very poor bunch and the 2nd is the competition format. The only chance they will have, for a very long time, came and went when they lost to the Crusaders at home last year. I would far rather have them knocked out now than risk injuries to players like Marx, Whiteley, Dyantyi, Mostert, Dreyer etc. before the RC. John, how can I forgive you for your missing something if you did not read my blather ?? Too long for you perhaps ?? To tell you the truth I’m not even in agreement with the round robin converting to a mini knockout competition. Strength against strength and the winner on the log takes it all. Knockouts should be played in a separate competition ala the English Premiership and FA Cup. But we are stuck with it and every one had their chance to finish in the top eight. Some like the Sharks were even luckier than most but were soon brought to ground. Remember as well that if only the top four teams on the overall log this year played off in semi finals the Lions would still have qualified to play. Sure they would have been fourth and would have played the Crusaders away but at least they would have had a shot at it. The other Franchises basically bowed out without a whimper. Anyway your pessimism about their chances is a bit premature don’t you think ?. Hurricanes beat the Crusaders and Lions win then it’s them in a final and we all know what they did to the Hurricanes last year in the play offs. And quite frankly if it comes to a Crusaders final I still fancy our chances. We could be having a Leicester City moment this year. I know it’s tough when your team has been extra useless this year so who would you rather be, me with everything to play for or you with no hope whatsoever ? I rest my case. Quite frankly after the Lions players were once more in the main ignored by Rassie for the past four tests I don’t believe some Lions players need show much allegiance to that rather bedraggled Bok jersey. If you read my post you will know why I’m saying this. Try it with a bit more concentration you’ll be surprised at what you missed, lol. Most of the Lions team are now moving on and good luck to them. They have been sacrificed on the alter of ‘transformation’ if truth be told and SA rugby is all the poorer for it. It’s the end of an era either way. Cheers. A well written (respectful too, unlike some of the bizare responses)article that raises questions most lions fans ask. The lions are a fantastic team that have just managed NOT to cross the final hurdle of a championship title. Looking at why this is the case is fair enough imo. Lions great yesterday in dispatching what is in reality the full argentine international team. Great to watch skillful passing players in the midfield too, as much as we remark on the pace at which the lions play at, that scrum is a real weapon. How many times does it get is out of trouble and get us back into the game? Nick, take a bow. Excellent objective reading of the article above. It is rather bizarre that so many comment only on their emotional response instead of objectively. I keep getting criticised on bemoaning certain aspects of the Lions yet I am the first to say I want them to win and the first to admit they are a very good side. The simple facts have been an inability to win the big one. Sure they win the quarters and semis, but in the end, a team is judged on winning finals. I hope they go all the way this year, I could even put up with some of the above getting very arrogant indeed, but the bottom line is it will be the best thing for SA rugby to have a side win SR.
Rant, my abbreviated reply covers only one point. You say the Lions had the inability to win the final but fail to mention the red card. What is the hottest topic these days, TMO’s etc. The effects of a red card on matches this season has been astronomical so I cannot concur with your statement that the Lions were unable to win the game last year based on lack of ability. The result was skewed thanks to knee jerk Peyper and you should acknowledge that not cast aspersions on their ability. Strangely enough you say I need to be more objective but where is yours in this case ? Pot calling the kettle black ? Cheers. Herman Schroder? Please stop thinking that I am ever referring to you. You are an insignificant waste of time. I do not read your comments and refuse to be drawn into any sort of “debate” because with you it is not a debate but merely a chance for you to be wholly inconsiderate to others opinions and instead discuss matters that are of no consequence. Hint, if you put the name of the person you are responding to it would help old chap. It would save me time having to continually correct you, lol. ‘God’ bye yourself. Cheers. And please…..let’s hold onto swys. Many will tell you that akkerman relied heavily on his influence . The thing is Nick, the valid points that Mr. X brings up here is nothing new to us Lions fans, we always ask those questions. And we know the answers already. Thats NOT sport journalism. But the “bizzare” responses are then just as valid in asking why these articles always hits as someone in or from SA are doing well. Just look at all the Anderson hate articles popped up now after his amazing Wimbledon run. They love the clicks. And we fall for it. Again. Just look at this comment section. As long as it is pointless. Yeah i get the irony of me saying this… But thats what they do. To post something incindiary and watch the clicks flooding in. Thats not journalism, its clickbait, and this is my Peoples magazine. I just hope these “journos” are happy with themselves. Thanks for that Wesley, Cheers. Pleasure Herman. Truth is, it seems 2nd place is worse off than the rest in this world. Not that we as Lions fans shouldnt be concerned for the future and any analysis is welcome, but the delivery seems lacking here and the headline makes it even worse so. Nevermind the bulk of Bok players are playing in failure teams not even able to make it past the group stage. Wheres the articles about Bulls and Stormers and even the Sharks to some degree that even loaded with stars and Bok players cannot perform? Any analysis on this? Is it deemed stating the obvious? Kicking someone when they are down? Perhaps a warranted article to write as a wrap to the season? Another potential article: I see Vermeulen on his way to Bulls or Stormers… This is worrying. They not have faith in their current stocks? We throwing away another potential CJ Stander in favour to play him in SR? Good on Vermeulen coming back and showing pride and want for SA, but for the teams as a whole it concerns me. Bet the Stormers and Bulls fans licking their lips at the prospect though, ready to cast great potential aside in favour of their favourite son. Bet these guys writing for the site dont have the balls to write it though…. Totally agree. But I’ve said on numerous occasions that we should not be taking these overseas players on board at all. I know Willie and Faf saved our skin against England in the first two England tests and Vermeulen played his part but by the third test the Engelse had already worked us out and it was business as usual for the Boks. Rassie is going to faf around with a hybrid team of overseas and local players just like Coetzee tried to do and will not be able build a cohesive Bok team with local talent in order to bring in a strong Bok culture and game plan to take us forward. Guest players from overseas before test matches won’t work that’s why the AB’s don”t use it. So it’s on to Emirates this Saturday and one step away for another final for the Lions. The stars have aligned so far so let’s trust that this is indeed the year of the Lion. They fully deserve it. Cheers.and good luck on Saturday.